As Scór celebrates it's Golden Jubilee, an important meeting will be held in Riverstick GAA Hall on Monday 1st October at 8pm. Clubs are obliged to be represented by your Chairperson, Secretary and Cultural Officer at the meeting. As this year is the Golden Jubilee of Scor it is imperitive your Club is represented at this meeting. 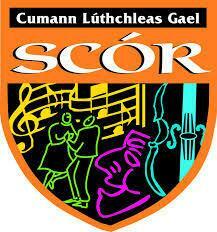 Now that the long hot summer is becoming a distant memory and the autumn evenings are closingin on us, it is fast approaching the onset of the SCÓR SEASON.The upcoming season is more than just another of "the same as we have always done" type as I'msure you are well aware by now the GAA will be celebrating the GOLDEN JUBILEE of SCÓRover the coming months. The responsibility for organising those celebrations falls on the shouldersof each and every SCÓR committee throughout the Country.Given that Scór has its origins in CORK, and in AVONDHU in particular, there is particularpressure on all of us to make the SCÓR 18-19 season, one that will live in the memory for manyyears to come. Already plans are being put in place at County, Provincial and National level tomark this milestone in our history. The dates and schedules (below) are already set. Alongside this,a number of concerts and exhibitions are planned across the country.It is vitally important that Divisional SCÓR groups meet as soon as possible to put their own plansin place. We now have approximately six weeks remaining to the start of our competitions andwhile there will be a major emphasis on SENIOR SCÓR, the other strands have to be seriouslypushed also, to gain momentum in the run in to SCÓR SINSIR.Each club in your Division must be approached with a vigour that will not accept "NO" as ananswer, when it comes to nominating competitors for all three competitions. In most cases it is purelaziness on the part of the club which keeps them from entering. "Tus maith leath na hoibre" as the saying goes. Please give this matter your immediate attentionand if there is any support that we can give you at County level, we will only be too delighted tohelp.Thanking you for taking the time to read this letter and wishing you well with the task ahead.